Happy holidays, Rebels! We bring you our last roundup before winter break kicks off. In the meantime, check social media for updates on any exciting sports news before we return next year! All of Prep’s winter girls teams are looking dominant so far this season. After a huge 15-5 win against La Salle last Friday, girls water polo has jumped to 5-2 overall and 2-0 in league. 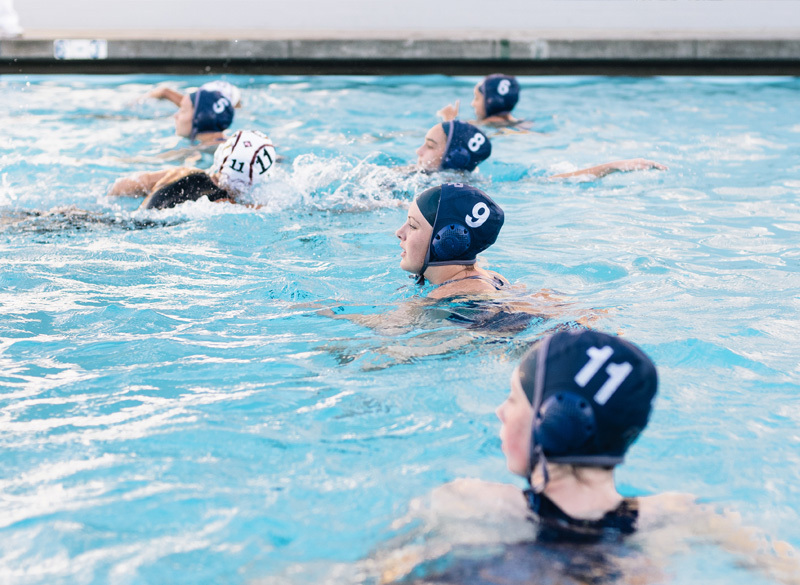 They take on Poly this afternoon at 3:30 in Poly’s home pool. Moving over to the field, girls soccer is also at 2-0 in league, reaching 4-0-1 overall so far. The girls followed up a 1-1 tie against Downey with a massive 12-0 win against La Quinta and 11-1 win against Mayfield. They also face Poly this weekend, heading to the Best in the West Tournament on Saturday at Rio Hondo. The boys’ side hasn’t quite hit league play yet, but they’re killing it in preseason, with a 5-0 record so far. Last week, they took down Whittier with a 4-0 win and Chavez with a 2-1 win. They head to the Rams Invitational on Saturday, taking on Temple City, who has a 3-2-2 record so far. In yet another Poly matchup this weekend, girls basketball heads this evening at 5:00 to face the Panthers (5-2) on their home turf. The Rebels are looking strong once again this year, with a 2-0 league record and 6-1 overall, after a recent 68-30 victory against Westridge. The boys hit 5-5 overall after a 57-62 loss against Shalhevet. After a brief break, they take on Yeshiva University of LA on the 22nd before heading to the Torrey Pines Tournament later that week.